West Chester University engaged the Spillman Farmer team to explore the future of their campus dining experience through a comprehensive feasibility study. Since the mid 1960’s Lawrence Hall has served as the primary food service venue for West Chester University. Although Lawrence has been updated several times, the facility is no longer able to meet the University’s needs. Lawrence struggles to compete with other dining facilities on campus, and its outdated infrastructure and equipment are inhibiting its day-to-day function. 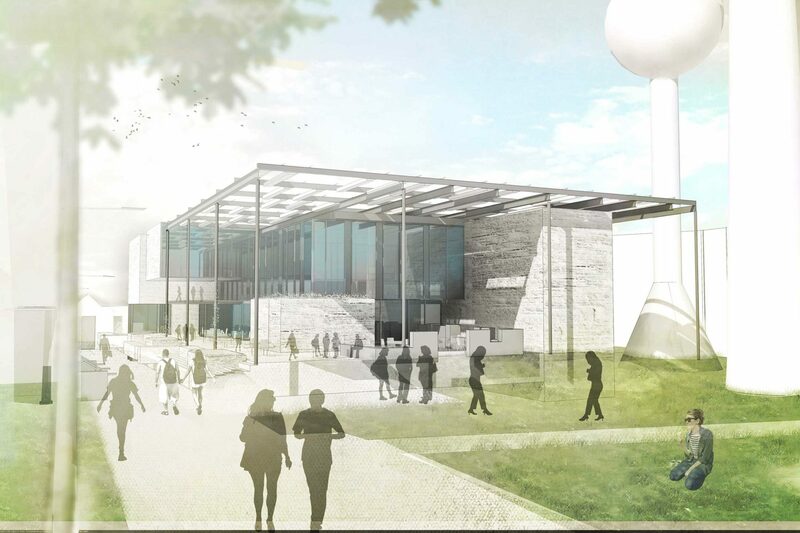 The University selected Spillman Farmer Architects to complete a Dining Hall Feasibility Study to determine a viable path for the future of the Lawrence Dining Hall site. In this study, the Spillman Farmer team conducted a master planning session with the University, and explored programming requirements, dining demands, site opportunities, sustainability possibilities, code limitations, and infrastructure influences that would impact the project’s future. The study included three siting options for a new facility, each exploring how a new facility might be incorporated within the current campus fabric and the ramifications of future development in the western quadrants of north campus. The study also explored potential programming for the site beyond dining, and suggested other uses, such as classroom spaces, study and gathering spaces, and conferences spaces to accommodate campus events.